What is Kambo Frog Medicine? I’ve been hearing about these mysterious powerful frogs (and toads) for a while now. I’ve seen friends with warrior like burn marks on their arms where the “medicine” was administered and I heard others crying as their demons were expelled. 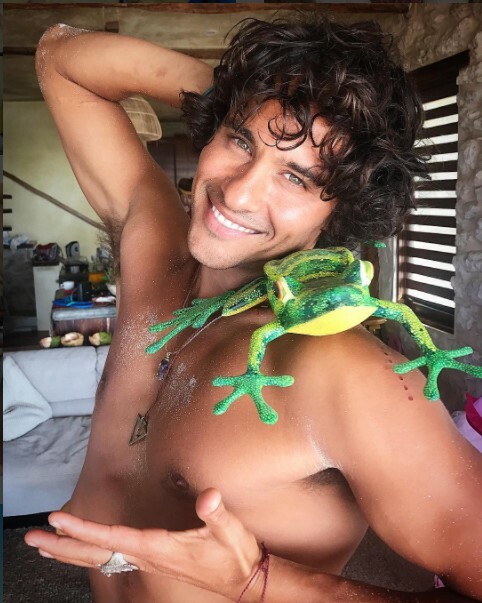 I decided to investigate this some more and here’s what I learned about the Kambo / Phyllomedusa bicolor frog and it’s vaccinations from the amazon jungle…. The secretion is introduced into the nervous through the lymphatic system by placing it on small superficial burns on the skin, after which the active peptides contained in the secretion can produce short lasting and somewhat severe gastrointestinal and cardiovascular side-effects, followed by increase in strength, heightened senses, and resistance to hunger and thirst. Kambo, offers a great detoxification process for the liver, gall bladder, kidneys and intestines. It helps in strengthening the nervous system and therefore is great for depression, nervousness, anxiety, insomnia etc. It boosts the immune system, balances the cardiovascular system. It gives will strength and clarity. It had helped with many different types of illnesses and unbalances and also in moving forward in general. There are NO psychoactive effects from taking this medicine. People literally purge the impurities from their bodies. It’s like an immediate detox! The whole process only lasts 30-90 minutes… the Life Source team is working with an experienced & caring practitioners now who are available to share this Kambo experience with our guests. This can take place either in the jungle where they have a special space or in the privacy of your Tulum hotel. It’s ideal to book 3 Kambo sessions in one moon cycle… but even ONE session is very powerful. Let us know if you’d like more information… and want to check out this Amazonian Frog Detox yourself!